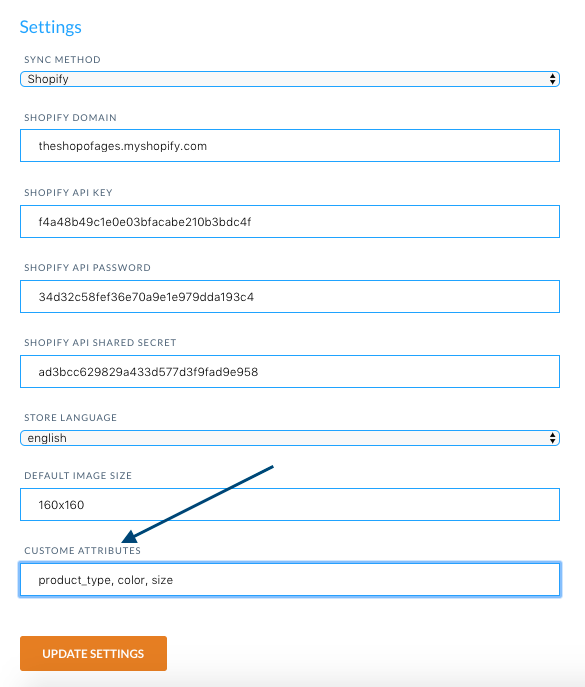 In Shopify, attributes can be added through my.clerk.io->Data Sync. Simply go to the input-field called Custom Attributes, and type in the attributes you want to include for products. To add several attributes, simply separate them with commas.